↑ "Hindu Mythology, Vedic and Puranic: Part I. 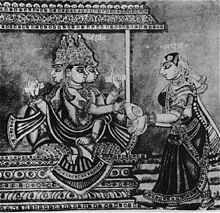 The Vedic Deities: Chapter IV. Aditi, and the Ādityas". Sacred-texts.com. अभिगमन तिथि 2017-05-07. ↑ Editors, The (1995-09-02). "Aditi | Hindu deity" (अंग्रेज़ी में). Britannica.com. अभिगमन तिथि 2017-05-07.